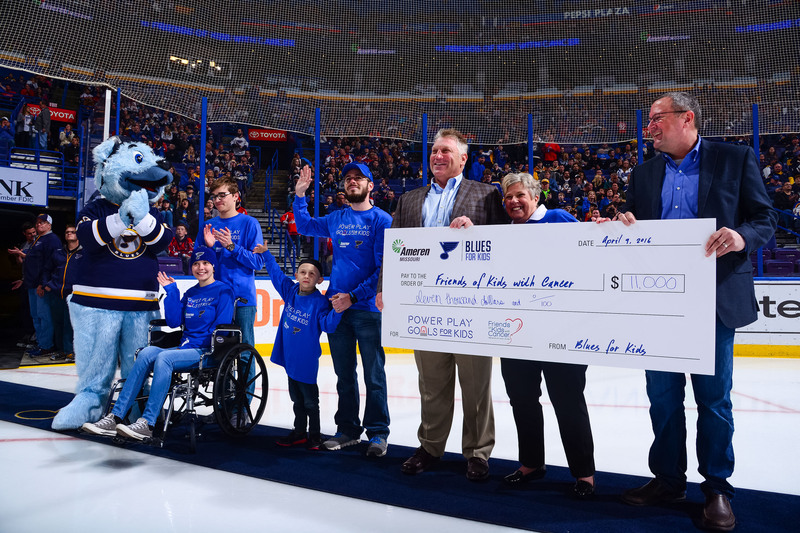 Friends of Kids with Cancer | "Friends" wins Ameren Missouri's Blues Power Play Goals for Kids Contest! 'Friends' wins Ameren Missouri's Blues Power Play Goals for Kids Contest! 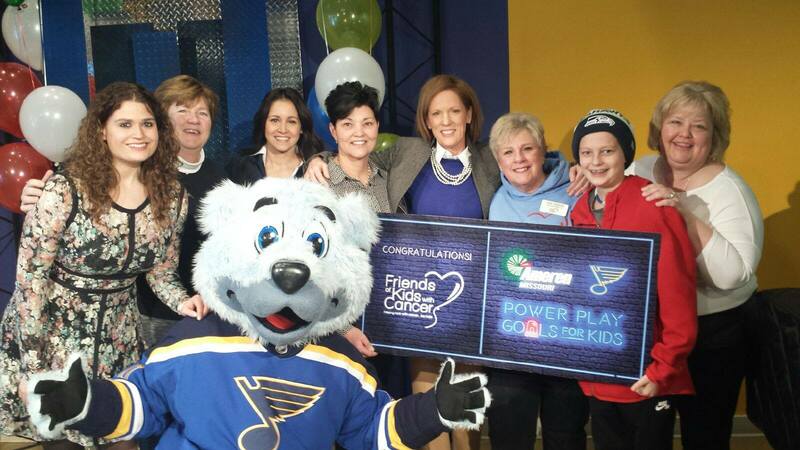 Friends of Kids with Cancer was announced as the winner of Ameren Missouri's St. Louis Blues Power Play Goals for Kids Contest on Fox 2 News this morning. Ameren Missouri will donate $200 through the Blues for Kids foundation for each Blues power play goal through the end of the 2015-2016 season; approximately $11,200 based on 56 goals last year. 'Friends' was honored to be in competition with such worthy charities as The Little Bit Foundation, Angels' Arms and Disabled Athlete Sports Association. We are all winners when it comes to helping kids. Blues fans and charity supporters voted online through Ameren Missouri's Facebook page from December 2015 through February 5, 2016. Friends of Kids with Cancer will use the funds raised to expand and improve support groups for kids with cancer and their families in St. Louis. Ameren will present an on-ice check at the final Blues home game of the season on Saturday, April 9, 2016. Friends' Executive Director, Judy Ciapciak, was present for the announcement, "Thank you Ameren Missouri and the St. Louis Blues; your partnership with Friends of Kids with Cancer is powerful! We couldn't win this contest without everyone who voted. Thank you all for your support!" April 9, 2016 check presentation at the Blues' last regular season home game. $11,000 was raised through the Power Play Goals for Kids program! Thank you Ameren Missouri and St. Louis Blues!